After reading the SpaceShipOne retrospective, ask students to respond to questions that require analysis, evaluation, and synthesis. These questions connect to the Common Core State Standards, English Language Arts Reading: Informational Text standards. How has SpaceShipOne made a difference in space travel? Or has it? Defend your response. 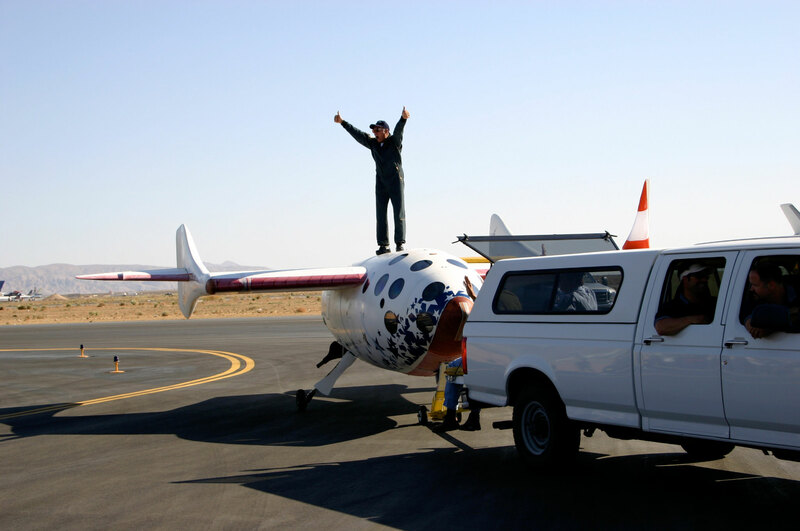 The author concludes, “From suborbital flight to the farthest reaches of our solar system, SpaceShipOne is a little ship that keeps on flying higher. It and Burt Rutan’s legacies are secure in the pages of aerospace history.” Do you agree with the author that the legacies are secure in the pages of aerospace history? Why or why not? Use information from the article to defend your answer. Study the gatewaytospace.org St. Louis and Space webpage to learn more about the importance of Charles Lindbergh and X Prize. (See: http://gatewaytospace.org/st-louis-and-space/) After reading both articles, decide which aerospace events are the most historic and important. Use information from the articles to defend your ideas. In addition to reading the texts for analysis, students can make a timeline of major events in the article using an online timeline maker (i.e. teach-nology.com). The study of biographies and the writing of biographies and personal narratives) are important. Many famous people are mentioned in the SpaceShipOne retrospective and the Space and St. Louis webpage. Ask students to choose one famous person, research the person, and write a brief biography. One interesting variation is the six-word biography. See www.sixwordmemoirs.com for further information.